Dessertbuzz | Where is all the new content? Diary of a Canele Obsessive: The Decades-Long Quest to Bake the Perfect French Pastry for Saveur. My canele recipe for Saveur. Tips on making Canele. What are canele video. How to make canele video. 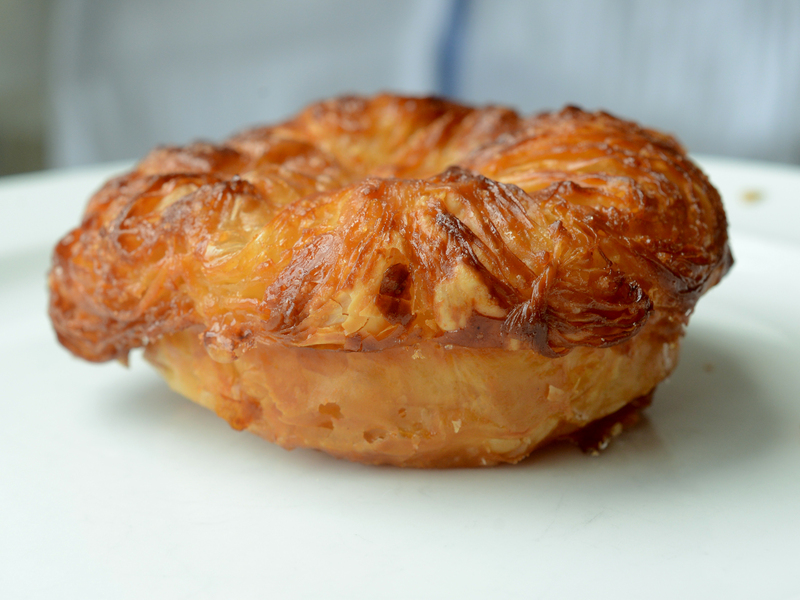 New York City’s Best Croissants Have Just Botten Better for Wine4Food. Behind the Scenes at the 2016 Valrhona International Pastry Final for Dessert Professional Magazine. Note: In April 2013 I stopped updating DessertBuzz and began writing a regular dessert review column for Serious Eats NY called Sugar Rush. About a year and a half later Serious Eats retooled and began to publish longer, more in depth stories and trend pieces, such as Where to find the best Babka in NYC or The Best Chocolate Desserts in NYC. You can find an archive of all my stories on Serious East here. My segment on NPR’s The Dinner Party Download about New York’s Next Generation Of Amazing Eclairs is here. You can listen to that segment on the link above. Recommended drink pairings for the desserts at Gramercy Tavern. I’ll be serving as a judge at Valrhona’s C3 Pastry Competition. Enjoyed your piece on Gramercy Tavern! If I ever make it back to NYC I’m totally going to try the blueberry pie pairing. Or maybe the sundae/Charbay. I haven’t taken DessertBuzz off my feed, but I added you on IG (we met several years ago, I was a student at SFCS during Killed by Dessert). Been following the Brooks Headley trajectory ever since (and wondering how different the Superiority Burgers are to the veggie burger he served that night!). Hi, my name is Philip Duck! People ask me “Hey, Philip Duck, I need your professional help ” and I always accept the request, `cause I know, that only I can solve all their problems!